Crooked Colours have ended their 18-month hiatus with a brave return – touring with numerous artists such as Crystal Castles, releasing infectious singles from their upcoming debut album VERA and announcing a national album tour along with a handful in Europe! Perth’s native indie-electronic trio took a step away from their busy schedule, in this case handing me over to frontman Phil Slabber who had just popped off a plane. Taking some time out – 18 months to be exact – the boys were still non-stop moving interstate, seeing Slabber and De Baughn in Sydney and Merrett-Park in Melbourne, whilst using the rest of their time to knuckle down and perfect some sweet, refreshing tunes for their debut. Living in separate states could have been a potential issue, but they going their routine down pat. “It’s pretty easy, we send stuff back and forth and when we have upcoming shows we’ll spend about a week either in Melbourne or Sydney just rehearsing and getting everything ready,” explains Slabber. Crooked Colours have produced and released numerous singles and EPs, yet the creative direction of VERA saw Slabber, De Baughn and Merrett-Park aiming for quality over quantity. “Going into that period we had a bunch of demos ready that ended up getting scrapped. We haven’t been in a situation like that before where we had a long time to just sit and write, it’s always been short periods amongst touring and other things… So we’re really glad we took the time out to produce this,” expresses Slabber. Listening to a big, broad spectrum of music and artists really shaped the sound and vibe of their upcoming album, as Slabber depicts, “I was listening to a lot of Nicolas Jaar, really spacy electronic stuff, but at the same time listening to some surfy acoustic stuff as well… I feel we write the best when listening to a lot of music; going to shows and seeing how people do it was our biggest source of inspiration.” This also influenced the production: “We didn’t want to get too electronic or heavy on the synth sounds; in the past, our music’s worked best when it’s really intimate with a more indie and airy feel about it,” he muses. The Cactus Channel are collectively the biggest band I’ve ever interviewed; with seven members as of 2017 I got to catch up with one of the insanely talented musicians, Lewis Coleman (guitars/synths). I cannot think of a better way to have spent my morning than delving into the history of the band, their first release of 2017 Do It For Nothing and how Coleman managed to get Sam Cromack from Ball Park Music (BPM) to sing for them on the EP – pretty cool, huh?! This seems like a great use of time and a logical step for the whole band, with no clear future in mind they were already onto something magical. Hudson Whitlock (drums/percussion) had a family property in the Victorian countryside where the group got to muck around and play music together. “This was the first time I’d gone away with them and officially joined the band.” As the years passed, members came and went from ten at one point to their current seven members, but never has it been too much to handle. “There’s been quite a lot of us from early on, it’s always been a huge amount” adds Coleman. 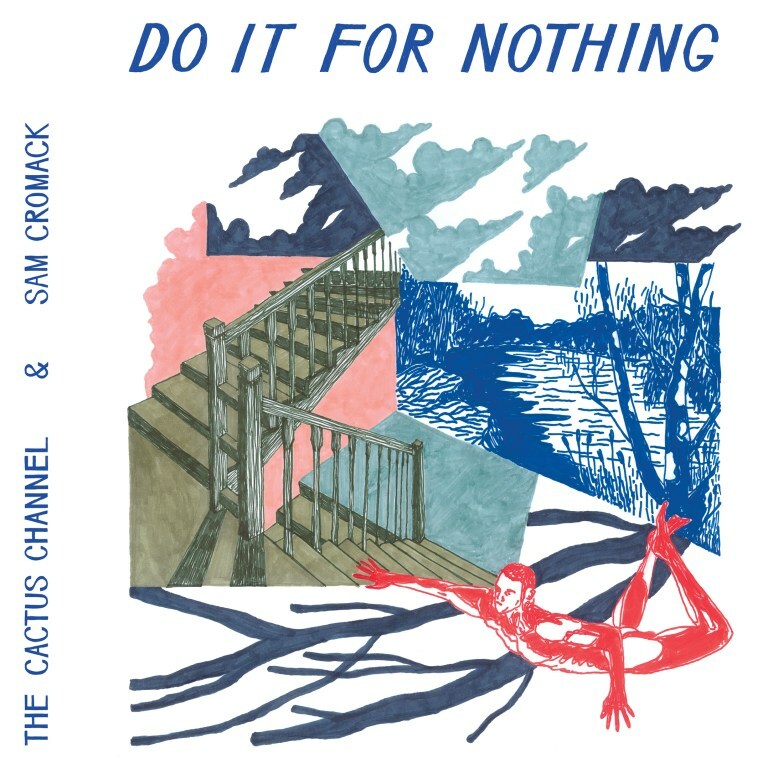 The release of the collaborative EP in April shows that The Cactus Channel have listened to fans and gone and treated us all to some introspective lyrics by the one and only Sam Cromack. Coleman shares: “We’ve done two instrumental albums but it’s always been in the back of our minds for a vocal edition. We keep getting nagged by people after gigs saying things like ‘See, you’re great but you know what you need? A singer,’ and we’re just like ‘Ohhh thanks… no one’s thought of that,'” he laughs. You’ll never guess how this collaboration actually came about. Coleman, an original fan of Ball Park Music, was attending one of their shows thinking “‘Awh man they’re cool, such a tight show. '” Once he got home he still had an urge to message them. “I don’t know why I did, I think I had a few beers, but I just sat on my computer in bed and Googled our band name and BPM’s band name wondering if we’d ever been mentioned together,” he explains. 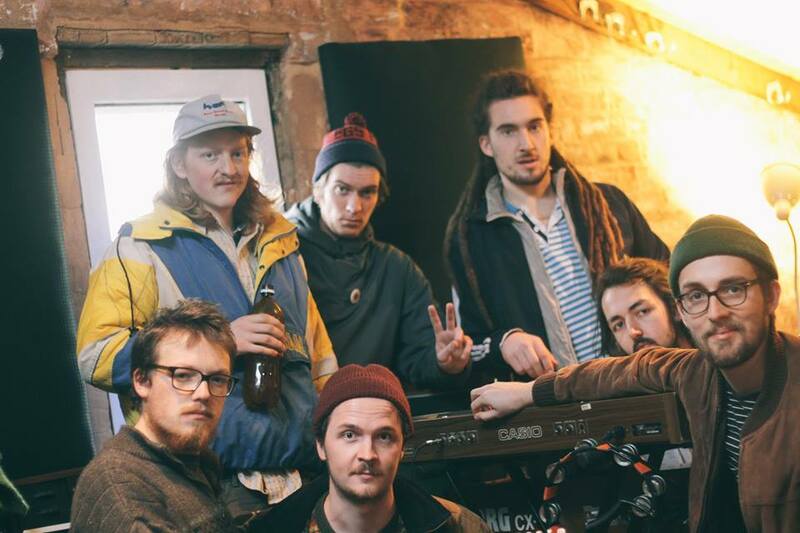 The past couple of years has been one crazy ride for The Cactus Channel who have been working and playing hard alongside Sam Cromack in both their hometowns of Brisbane and Melbourne to release the record. “We gelled really well, the creative process being similar to us coming up with music when together.” Cromack’s involvement was not limited to just vocals – he was also a key melody maker. “He came up with probably the bulk of all the melodies for at least four of the songs off the EP” Coleman furthers. Recorded at Sing Sing South, their new found friendship also brought in Matt Redlich on mixing dutires, who also did BPM’s last record; and recorded by Bob Knob of HopeStreet Recordings. Bandmate Jon DiNapoli (tenor saxophone) also brings his artistic skills to the EP, creating the artwork along with Daniel Sutton (trumpet) who recently left the group but came on board to do the layout of the record. “It’s nice that we can extend the relationship beyond the band,” extends Coleman. Sheppard have just wrapped up a trot around Australia and New Zealand tour supporting Justin Bieber, with one sixth of the dream team, George Sheppard, finding time to hop on the horn to talk about their up-beat new single, upcoming album and UK tour. Following on from 2014’s debut Bombs Away, Sheppard are hitting the streets and the charts with their electric new single Keep Me Crazy, debuting at #1 on the Independent Sales Charts in Australia and notching up Top Ten chart placements globally. “We have been out for about a good year and a half trying to write this album and I often think ‘Do people still know who we are?’” he laughs. “So when we receive something like this award it’s refreshing to know we’ve still got fans out there! Embarking on three intimate shows in Brisbane, Melbourne and Sydney, this is the first time in two years that Sheppard have done a headline tour, providing an opportunity to treat all of their fans to a sneak peek at the new album. “Playing live is so important to us, and before things get too crazy overseas we are looking forward to playing for our fans here.” Keeping busy, Sheppard just finished a five stadium tour with pop icon Justin Bieber, Sheppard saying that “this was one of the most surreal experiences we have been through,” including playing at their hometown’s Suncorp Stadium in Brisbane. Exciting times ahead for Sheppard as they embark their next journey to the other side of the world for a run of headline shows around the UK and then back home to serenade us in Oz. Be sure to catch the release of their second album mid to late this year!